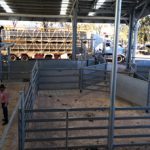 The Australian Livestock Markets Association (ALMA), held their National Saleyards Expo in Rockhampton, Queensland last week. Wiley attends events like this to gain a stronger understanding of the industry landscape and connect with industry leaders. Wiley’s Jon Martin was among those in attendance, here’s his summary. In company with saleyard industry stakeholders from all over the country, I was looking forward to two days in Rockhampton exploring the current industry landscape. Similar to the rest of the food industry, traceability and technology were hot topics at the expo. Automated objective carcass scanning – DEXA was addressed by MLA’s R&D Program Manager Supply Chain Technology, Christian Ruberg. You can read more about DEXA here. Throughout the course of the event, possible disruptive threats to the saleyard industry became apparent and high on the discussion agenda. What I found most interesting was the various discussions around how we can work together to keep saleyards sustainable and relevant into the future. The saleyards are a valuable part of local community. They’re social and sale days inject a lot of money into the local businesses in the area. 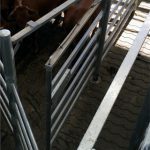 Saleyards must embrace technology to remain relevant in a world that is moving quickly into the next place. When it comes to future-proofing facilities, technology selection and implementation is key. 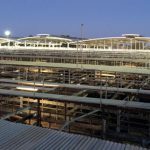 At the Dalby Saleyards (designed and constructed by Wiley), we made certain that the saleyards were future-proofed to embrace future technology moving forward. This included wireless access points throughout the entire facility and pneumatic drafting facilities, reducing animal stress and minimalizing the interaction between humans and the animals and the associated risks . 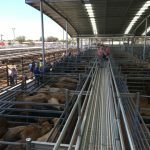 Modern saleyards on the scale of Dalby’s will continue to evolve to meet industry requirements and will remain an important part of the beef supply chain for decades to come. 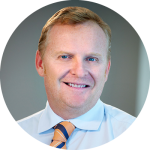 Talk to Jon Martin, Wiley Project Manager, about your next Saleyard project on 1300 385988 or connect@wiley.com.au.